There is more than one way to steam a carrot. While the steamer basket method is the most classic and using a microwave is probably the most popular, there is a strong argument to be made for simply steaming carrots in a pan with a bit of water. No special equipment and minimal clean-up afterward. That said, the "in a pan" method does require that you know your pan and your stove (and how they interact) fairly well to keep the carrots steaming and not browning. All three methods below lead to deliciously simply steamed carrots, so choose one with confidence. One note: evenly steamed carrots will depend on all the carrots or carrot pieces being the same size, so trim and chop accordingly. Bring a scant 1/2 inch salted water to boil in a large frying pan or saute pan. Add the carrots (small carrots can be left whole, but in general you'll want to chop them before you steam them), cover, and cook until the carrots are tender to the bite and water has evaporated, about 5 minutes. Want your carrots a bit more tender? Simply cook them longer! What's a Good Frying Pan for Steaming? The classic method of steaming uses a steamer basket or insert. Bring about an inch of water to a boil in the bottom of a pot into which your steamer basket or insert fits. Put the trimmed and/or chopped carrots in the steamer basket, set over the boiling water, cover, and steam until tender to the bite, again about 5 for crisp-tender and up to to 10 minutes for full carrots. Larger pieces of carrot will need more time, so cut carrots accordingly. Steaming carrots in a microwave is certainly quick and convenient. It must be noted, however, that it is more difficult to get any vegetable steamed to a precise and even level of doneness in a microwave than it is using either of the two methods outlined above. Consider yourself warned. 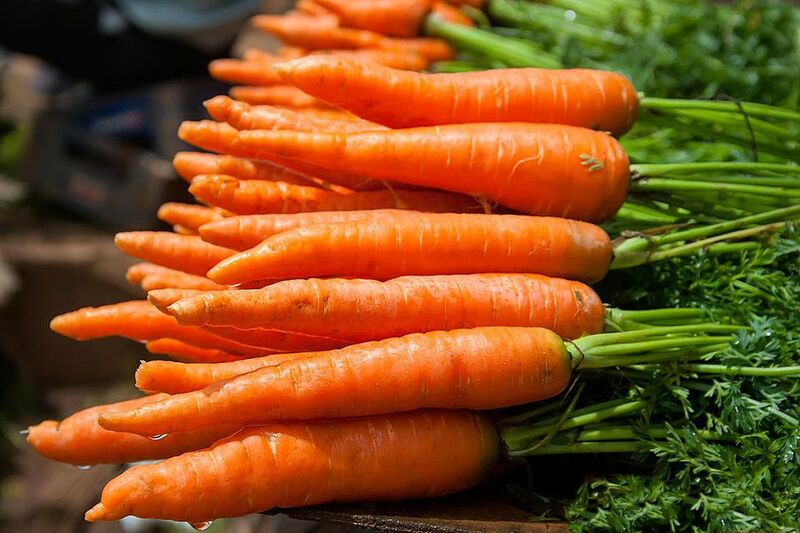 Put trimmed, peeled, and cut carrots with water still clinging to them in a large bowl, a small pool of water should form in the bottom of the bowl quite quickly. If you don't see water in the bottom of the bowl, add a tablespoon of water. Cover the bowl with a microwave-safe lid or plate (avoid plastic wrap in microwaves), and cook on high power for 1 minute. Test for tenderness and repeat at 30-second intervals until the carrots are steamed to your liking. Carrots steamed in a microwave may require a bit of draining or drying depending on how much liquid you used and how powerful your microwave is. However, you cook them, keep things classic and serve steamed carrots with a pat of butter and a sprinkle of salt (and freshly ground black pepper, if you like). They're also good cooled and served with a classic garlicky aioli.